When you think of sugar you naturally think of things like cupcakes or cookies or muffins or soda or other sweet things. When you think of sugar you don’t think of ketchup or protein bars or baked beans or white bread or canned soup but some of these items can have more sugar than blueberry muffins! The food industry figured out that sugar was addictive and started adding it to everything. Food that used to have a low sugar count now counts the same or worse than the sugary treats we eat. Ketchup, for example, two tablespoons of ketchup has about eight grams of sugar, according to the USDA. That’s about as much sugar as you’ll find in a large store-bought chocolate chip cookie. A single slice of white bread can have up to two grams of added sugar. Some restaurants even coat their fries with a mix of salt and sugar. Flavored yogurt can have almost 20 grams of sugar per serving. Yogurts are deceivingly packed with crazy amounts of added sugar and then labeled as a “health food.” Another doozie are drinks like Vitamin Water who pack in 32 grams per bottle of Focus Kiwi-Strawberry. They make you think that their “water” is healthier choice. That is just 6 grams shy of a Sprite! You might as well just have the soda. The World Health Organization guideline recommends adults and children reduce their daily intake of free sugars to less than 10% of their total energy intake. This means if you are on a 2000 calorie diet your sugar should be no more than 200 calories which equals less than 50 grams of added sugar (or around 12 teaspoons). How exactly are we supposed to stick to these guidelines when there is sugar in practically everything!?! When my sister worked for NBC she sent me a copy of Eat This, Not That! Thousands of Simple Food Swaps that Can Save You 10, 20, 30 Pounds–or More!. They had talked about the book on the show Biggest Loser and it really is a book of useful information. I’ve long since lost my copy but I haven’t lost the understanding of how to look at my food as fuel. Obviously they market this book as a diet plan but the eye-opener for me was the calorie comparisons. Look at the difference between those two healthy snacks. I mean, even healthy snacks can be loaded with calories and sugar. In addition, the type of food you’re putting in your body can influence satiation. We see that the king size candy bar package says two servings but who can eat just half? Take a look at the graphic below… calorie count is important to make sure we’re getting the most bang for our buck. In college I had severe IBS. I went to my primary doctor who said I was perfectly healthy and couldn’t see why I was complaining of stomach pain. He referred me to an Internist who then used ultrasound to see what was going on in my abdomen. Since he couldn’t see anything wrong he referred me to a Gastroenterologist. I really thought that I had an ulcer or something was seriously wrong but the GI doctor didn’t even run any tests he just told me to do an elimination diet (which I did) to see what was going on. Turns out my body was super sensitive to tomato products, sugar, things that cause gas, and anything white. Great. But you know what? We figured out how to work around my sensitivities and I can happily eat a giant plate of spaghetti every now and then. The crazier thing is that I don’t even miss the things I’ve cut way back in my diet and I find myself craving all the healthy food my body needs each day. It’s awesome. The major thing my GI told me was to cut out sugar. Like, if there was only one thing you do it would be to cut sugar out of your diet and the rest will solve itself. So, I READ MY LABELS and to try and limit added sugar to 8 or 9 grams per serving (his suggestion). This has been a game changer folks! Do you know how hard it is to find packaged items with such little sugar? Yes, of course you do. We all do. I’m that person who stands in the aisle for what seems like forever comparing labels. And it’s made a HUGE difference in my life. I hardly ever drink soda and when I do it is such a wonderful treat! It is so nice to have treats and to enjoy food and not feel an ounce of guilt. I say all this because I truly believe it is possible for everyone to do this. You can buy the low sugar or sugar free jelly and the low or no sugar peanut butter and the low or no sugar wheat bread and it is just as delicious as a regular PB&J. Now that I know what cereals or bread or granola bars or yogurt or whatever it is that I’m buying has the low or no sugar it’s really easy to shop and it doesn’t cost a fortune. I’m not buying all organic either. Take a look at your diet and add up the sugar throughout the day. You may not be over your limit in your calories but you may be WAY over your limit in your sugar. This is why almost 10% of the U.S. population is diabetic and that number is rising. Next time you’re in the grocery store I encourage you to really look at your nutrition labels. Don’t just buy the cheapest item on the shelf (although I will say that the store brand is usually the least amount of sugar). Do yourself a favor and take a second look at your diet and read your nutrition labels. You’ll be amazed at how better you feel! Do you find yourself saying this over and over and over? It’s like a default for me. My son is adventurous and not really fearful which means he’s halfway up the ladder by the time I realize it. I read a really good post recently about how to stop saying “be careful” and instead use words that have actual meaning and significance. When my son insists on climbing the wall on the playset that’s designed for 5-year-olds I try not to say no. Instead, I stay near and remind him of what he should be doing, “Make sure you have a place for your hands and then a place for your feet.” “Look up ahead and see where you can hold on.” “Make sure your foot is secure before reaching up,” etc. We want our children to take risks. When we constantly insulate them from these types of experiences they grow up fearful and weary of challenges. Helping your child to be more aware and to process and think through the moment teaches them how to execute difficult challenges and to grow confident in their abilities. All of life is risky. Children should be climbing trees and learning about fire and how to handle knives. Otherwise they will eventually come in contact with risk and with no experience it could lead to much destruction. Risky activities help children know their strength and limitations and sense of self. Risk is good. However, we still want calculated risk, am I right!?! This is where your language is so important. What you say to your child teaches them to doubt their ability or to trust their ability. We want to raise our children to be self-sufficient and productive members of society. When we speak positively to our children we teach them to view themselves positively and to believe in their abilities. Have you noticed yourself saying “be careful” too much? Try to rephrase your warnings and see if it helps and if you have any suggestions please let us know in the comments! Why is it that toddlers can be so finicky? What part of their brain makes them decide they don’t like something they just ate (and enjoyed) yesterday? My son was on a serious banana kick for a while. Some days he’d eat two or more! 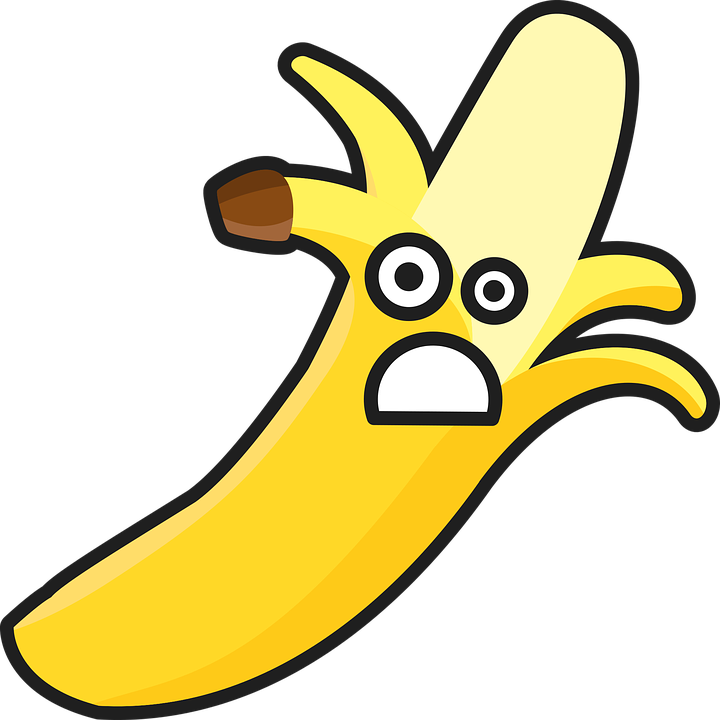 Suddenly he no longer wants bananas, but worse… he requests a banana then won’t eat it. W.T.F. It turns out that a healthy toddler is naturally inclined to test our limits. They are pre-wired to challenge us. It is their job to explore their world and it is our job to define the boundaries. Back when I went through teacher training they talked a LOT about “rituals and routines” as it relates to the classroom. The idea is that in the beginning you set up the rituals (what is expected) and the routines (the schedule) and reinforce them over and over and over above any other activity or importance. Then, when the students are thoroughly engaged in learning activities you can reference the expected behavior and they will be reminded of what is expected and (hopefully) comply. To make matters difficult the toddler still hasn’t fully grasped their language skills yet and are still operating mainly from the right side of the brain. The right hemisphere is all about play and imagination and creativity and, most importantly, emotion. The left hemisphere is the one of logic and reasoning and language and numeracy. Learning about the two hemispheres helps us to understand more fully why it is that children behave as they do. This right side dominance is the reason why your toddler doesn’t respond when you try to reason with them as they’re having a meltdown. They don’t have any other ability other than to process the situation emotionally. To handle that pickiness that comes with the typical toddler it helps to remind yourself that the challenge is more of a power play than an actual preference. The child isn’t saying no to the chicken and green beans because he suddenly doesn’t like them it’s because he’s trying to see if you’ll give him the bowl of cereal he’d really like. Don’t turn yourself into a short-order cook! As Pamela Druckerman says in Bringing Up Bébé: One American Mother Discovers the Wisdom of French Parenting (now with Bébé Day by Day: 100 Keys to French Parenting), Europeans don’t normally struggle with the food issues that we do in America. That’s because they don’t allow food choices to become a battle ground. First, we don’t force our child to eat anything. We offer but always say, “You don’t have to eat this but this is all there is.” We let him get down from the dinner table and play and later on when he decides he’s really hungry he comes asking for food and we offer the dinner plate. If he still refuses he goes to bed hungry. He’s only really tried that once. He recognizes that it may not be his favorite meal but it’s sustenance and if he’s hungry he eats. The caveat to this is to make sure that at least one thing on the plate is something he enjoys. Don’t try and force brussels sprouts as the only vegetable if he’s never had them before. Second, we offer choices. “You can have cheddar bunnies or raisins.” If he asks for something else we just repeat the sentence. Choices help him to feel like he has some control over the situation as it is a child’s natural inclination to want to be in charge but the choice we are giving is still allowing us to make the ultimate decision. We do this in just about every aspect of his life. Clothing, two choices to wear that have been picked out and weather appropriate. Food, two choices that are nutritionally valuable. Drinks, water or milk, end of story. We’ve done this from the very beginning and it works wonderfully. Every once in a while we have rebellion but that results in us referring back to the first statement above. In addition to those two principles we try and always eat as a family and stick to eating five times a day. Breakfast is usually eggs and fruit. Morning snack. Lunch of most often leftovers from the night before or a sandwich and veggies. Afternoon snack. Dinner is usually a meat and two vegetables, sometimes with pasta or rice. That’s it. We have found that if our child doesn’t eat too many snacks he comes to the table hungry and willing to eat what’s in front of him. Not only that but he’s an adventurous eater. Since we eat dinner together he’s been able to try sushi and just about every other adult food you can think of and he loves it all. He even tried an oyster recently! The key is always reminding them that they don’t have to eat it. No forcing to finish the dinner plate or “just eat one more bite.” We offer a variety of foods and keep trying them until we decide we like them or not. No pressure. Our child doesn’t get “kid food” or a different dinner than anyone else in the family. We don’t have time for that nonsense! Food should not be a battle. Food should be nutritious and delicious and exciting. We are determined to make sure we set our child up for a healthy future! What about you? How are the food battles in your house? Have you ever tried any of these ideas? What have you found to be successful tactics? Do you want more help in this area or have other questions? Let me know! *As an Amazon Associate I earn from qualifying purchases. Thank you for your support. Release your grip. Good advice… but almost impossible for the worrier, for the perfectionist, for those with low self-esteem and overwhelming anxiety. How can someone who suffers from this all-or-nothing thinking conquer their fear of failure? For me, my perfectionism manifests itself in unrealistic expectations. In order to overcome my fear that others will see the true failure that I am, I have to be absolutely perfect in all I do. Unrealistic. I have built a false facade of togetherness and people come to me for answers. How can I give out such good advice but take none of it for myself? I must demonstrate perfectionism in all I do day in and day out so that others will see me as successful. Unrealistic. If I have trouble parenting my child others will see just what a screw-up I am. My child is a product of my knowledge and advice to others therefore he must be perfectly behaved and a model of excellence at all times. Unrealistic. My marriage is strong and serves as a source of support for others, therefore we must never argue or get annoyed with each other and must do everything right. Unrealistic. How many times have I heard this? Why is this a battle I must constantly fight? Why must my constant fear of failure cause me (and my family) undue stress and anxiety? How can I seek to overcome this unforgiving attitude that robs me from the satisfaction of things I do well? Through these many years of battling my own psyche I have learned 5 things that help me to overcome my constant need for perfectionism and overwhelming fear of failure. Focus On The Good – Take a moment to step back and find what is good about the particular situation and shift your mind from the dread and overwhelming possibility of failure to one of confidence and success. Talk Through Your Anxiety – Step back and mentally walk your self through what it is that is causing you worry. Go ahead and imagine the end result and talk yourself through the experience by changing your inner voice from one of negativity to one of positivity. Baby Steps! – This is perhaps the hardest of all. Perfectionists tend to want to skip to the end, are easily distractible, and rush through the stuff they don’t like. Taking small steps helps to move forward in a steady and thorough manner allowing for bite-sized goals and small achievements along the way. Take A Break – Sometimes it helps to get outside of the task and view it from a different angle. I find that if I go for a walk the fresh air helps me relax and when my anxiety is lowered I’m able to see more clearly. Learn To Love Criticism – The successful end result is the validation perfectionists seek. However, sometimes things don’t go according to plan. Learning to accept what went wrong and not internalizing the failure can help to improve your mindset and feedback is important to growth. Of course, I am not a psychologist so please take this advice as friendly and not professional. I hope that these five things help you as much as they’ve helped me. Taking a step back, taking a deep breath, taking a fresh look can help you to overcome your need unrealistic standards of perfection. For more information on anxiety and/or to locate a professional check out the ‘find a psychologist’ locator via the American Psychological Association. Do you have something that has worked for you that you’d like to share? What tips or tricks do you use to overcome your perfectionism? Hello! Who am I? Who are you? What are we doing here? What is the purpose of this blog (or your social platform)? To share my thoughts and feelings with the world in a way that helps to bring people together in a shared community. What do you do for a living? Are you in school? I work at a university and love helping my students become all they can be! Right now I’m fascinated with Italy. What is your family like (immediate and extended)? My husband and I have one human son and one dog son. I have several sisters and no brothers so being in a house of boys is quite different but I love it. What genres of music do you like best? Super into the 60s decade of motown and singer-songwriters right now but I like almost all genres. Thank goodness for SiriusXM. Busy with grad school and child-rearing so I don’t have a ton of free time at the moment. I’m trying to be more intentional with “me time” and I’m hoping this platform will give me the boost I need. Neither, ha! But really I think that once I’m up and going in the morning I realize how much I love it. PASTA. Especially stuffed pasta like tortellinis, ravioli, mezzaluna, etc. Currently I’m in love with VEEP. I loved riding my bike with my friends all over the neighborhood. It was such a different time. No cell-phones. Just plenty of freedom and the requirement to be home by the time the street lights came on. Unfortunately no. I can ask basic questions and order food in Spanish and French but I never became fluent. Horrible drivers! You’ll hear me rant quite often about drivers on the road and what I think about them. I try to have patience but the distracted driving and/or poor driving skills really peeve me! CHRISTMAS. It’s the most wonderful time of the year… My close friends know that sometimes I start listening to Christmas music in October! I have been much better lately about waiting until November but I definitely continue well through January. Northern Virginia. Grew up going to the Smithsonian museums on the regular as well as taking in all the culture and opportunities to learn and grow in a diverse environment. I was quite fortunate. What is the skill that you would like to learn? Resiliency. I’m a perfectionist and if something doesn’t go the way it should I have a difficult time managing. As I’ve been told, I tend to have “unrealistic expectations of myself (and others).” I’d like to learn to be more forgiving. Also, and more importantly, I’m working hard on teaching this skill to my son! It’s tough for someone who suffers from anxiety to make and keep friends. It’s very easy to have acquaintances but more difficult to really become friends. I need a friend to have patience with me and to do the heavy lifting. When life gets stressful I tend to withdraw and people respond in kind. Someone who won’t let me disappear and will continue to seek out my friendship is invaluable. As someone with pretty serious anxiety I have a lot of fears… but what I worry about the most right now is not being around to help my son grow up. I want to do the best by him and that means not only being a good mom but also being a good wife. My husband and I have a very strong marriage because we work at it every day. We are jointly invested in ourselves and our family! I love learning! I love learning about and appreciating different people and different cultures. I love exploring this fabulous earth and I want to do my best to take care of it for generations to come. I love bettering myself by learning new advancements in health and wellness. I love being the best mom I can be by reading everything I can get my hands on concerning brain development, social-emotional development, and resiliency in young children! Welcome to my blog! I'm so glad you're here. On these pages you will find posts about anything that I consider interesting. Join me on this journey called life!